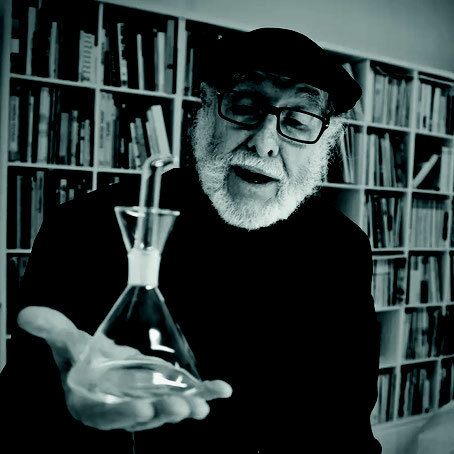 No More Drops - Website of Maurizio Capannesi, designer. Barcelona. 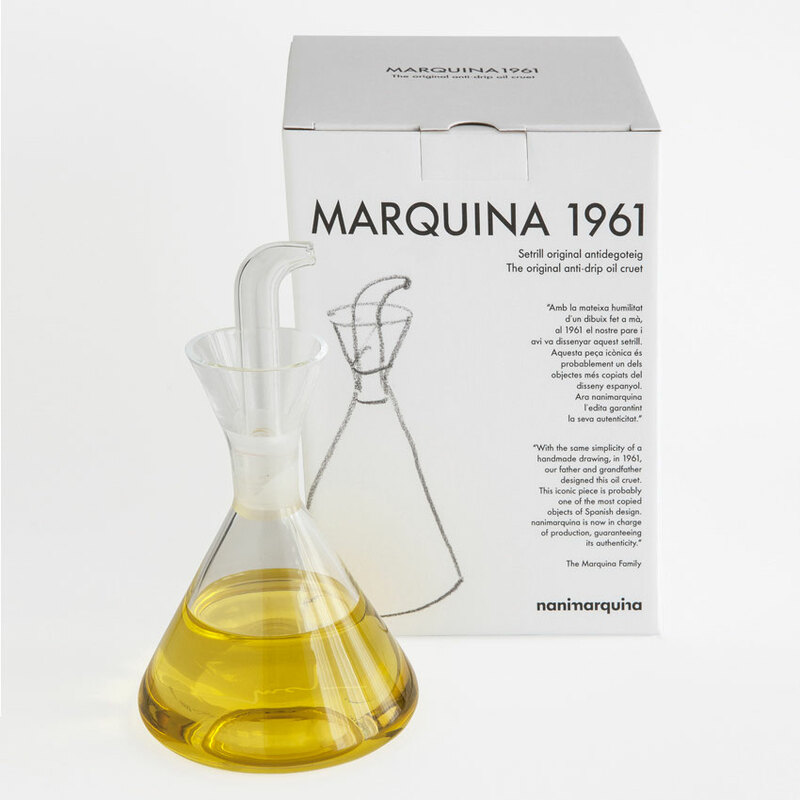 Don't call it oil cruet, call it Marquina! Designed in 1961 by Rafael Marquina, one of the fathers of Spanish design, and awarded with the prestigious Delta de Oro, this particular oil cruet is also one of the most copied pieces ever, and therefore often present in many homes, kitchens and restaurant tables. 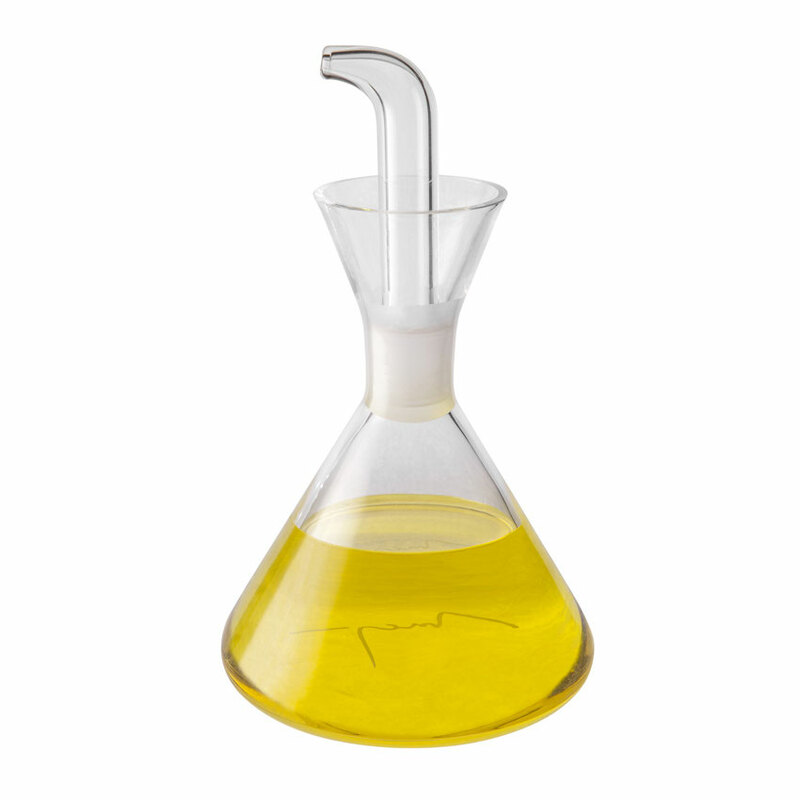 It may be good to know that this iconic object has a name and a surname: Aceitera antigoteo Marquina (Anti-drip oil cruet Marquina). 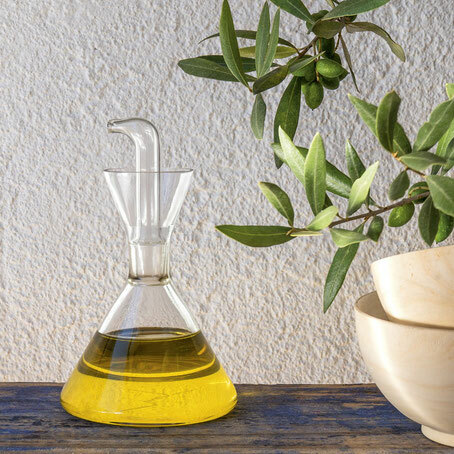 We should never forget that behind daily use objects there is a mind that gave birth to the idea: "diseñar una aceitera que, además de una presencia digna , explicara por sí misma su función y cumpliera con ella, sin inconveniente " (design an oil cruet that, aside from a dignified presence, would need no explanation and would comply with the intended use without any inconvenience). This is, in my opinion, simple, straightforward design. The Aceitera Antigoteo is an object I love for its aesthetics, with its clear reference to laboratory equipment. I enjoyed its practicality so much, at least until my cat spotted it on the kitchen top! Photography: (c) JOAN PUIG/El Periodico de Catalunya.